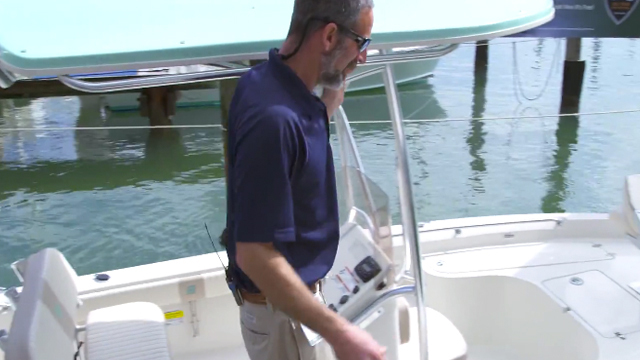 Bay boats are highly specialized fishing machines, and they often carry a highly shocking price tag. Here's a boat that gets the job done at a reasonable rate. I love casting for reds and specks from bay boats in the just-over-20’ range, like the Pioneer 220 Bay Sport, the Ranger 220 Bahia, and the Pathfinder 2300 HPS. These are all awesome models, but they all share one thing in common, which— at least to someone living within the economic realities of middle-class America—is a problem: they cost well over $40,000, and with options, may easily top $50,000. Ouch. If you feel this kind of pain when looking for a hot new bay boat, fortunately, you have options. 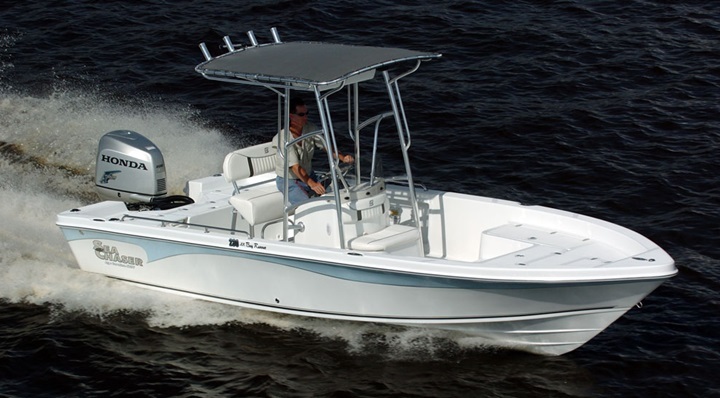 And one you’ll want to check out is the Sea Chaser 21 LX Bay Runner built by Carolina Skiff, a competent little fishing machine which can be bought reasonably well-rigged in the mid $30,000 range. 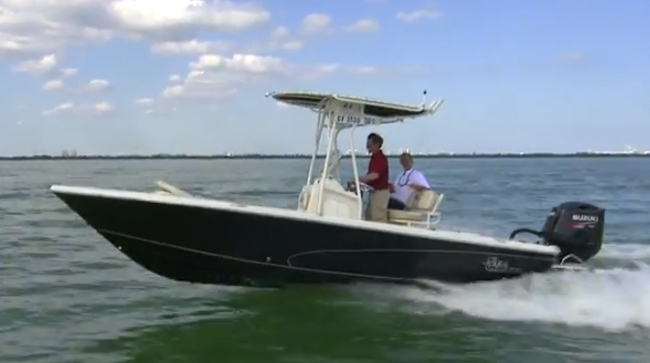 Looking for a bay boat that doesn't cost an arm and a leg? 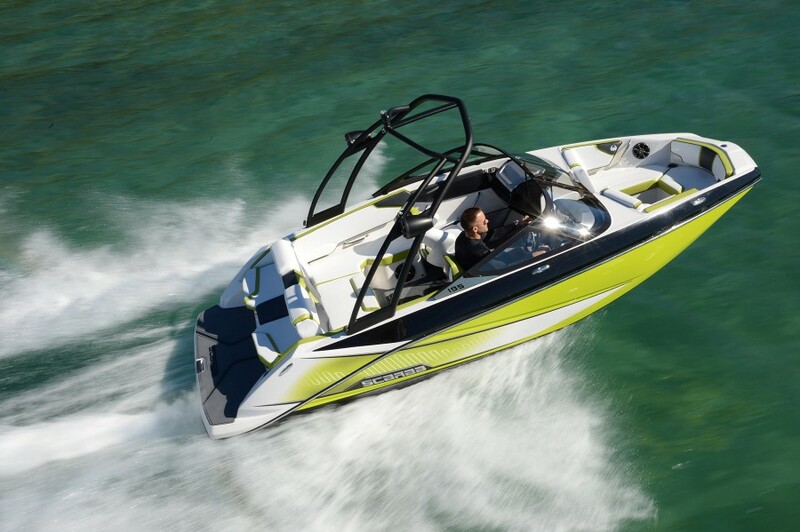 The Sea Chaser 21 LX Bay Runner is a must-see. The first thing I noticed about the 21 LX was its 360-degree fishability. Sure, this is a trait common to bay boats, but models this small don’t always have gunwales wide enough to walk from the aft casting deck to the foredeck. The Carolina Skiff does. And what’s more, the boat remained exceptionally stable while I made that short trek. The second thing that caught my eye was the fishability of that foredeck. Hatch latches, hinges, and cleats are all flush, so they won’t snag lines. The toe-kick ringing the deck is a bit taller than most, which not only gives you a sense of safety but also makes for a good place to prop your feet when you drop a fishing chair into the pedestal mount. Added bonus: the nonskid Carolina Skiff uses is exceptionally grippy, and wherever I stood on this boat, I never felt for a moment like slipping was a possibility. The aft deck is also set up to maximize fishing prowess, with a pair of jump seats, extra stowage compartments, and an aft livewell. Serious anglers will also want the optional forward livewell—IMHO it should be a standard feature, so the guy in the bow doesn't have to beg every time he needs a new herring for his hook. All seats and compartments on the aft deck fold flat, maintaining complete fishability on the Sea Chaser 21 LX. 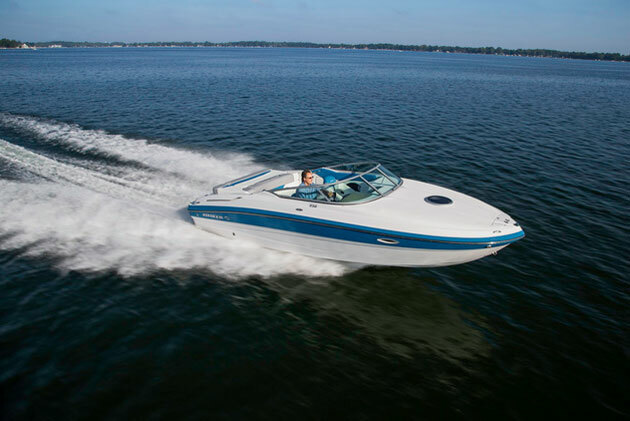 Other must-have options include the raw water washdown, trim tabs, and the leaning post with rodholders and footrests. If you've shopped Carolina Skiffs in the past you may have noticed that one of the ways this builder keeps MSRPs shockingly low is by limiting the number of standard features, and making items like those I just mentioned optional. But we are, in fact, comparing apples to apples when we say the 21 LX still has a big price advantage. 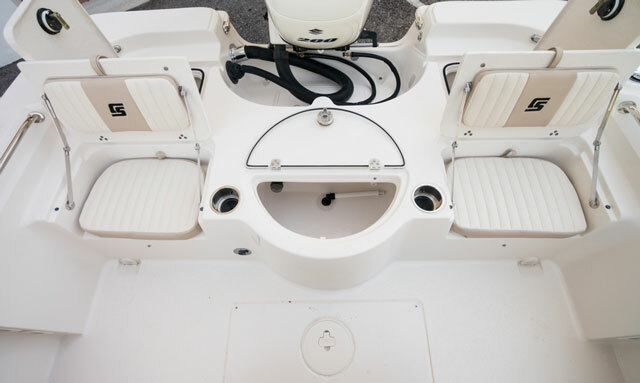 You can find listings for the Sea Chaser 21 LX on boats.com right now, for example, which are under $40,000 even though the boats are rigged to the teeth with goodies like all those already mentioned plus a T-top, hydraulic jack plate, stereo system, and a 175 HP Suzuki four-stroke. Wait a sec—aren't less costly boats usually built with inferior methods? Not necessarily, and certainly not in this case. 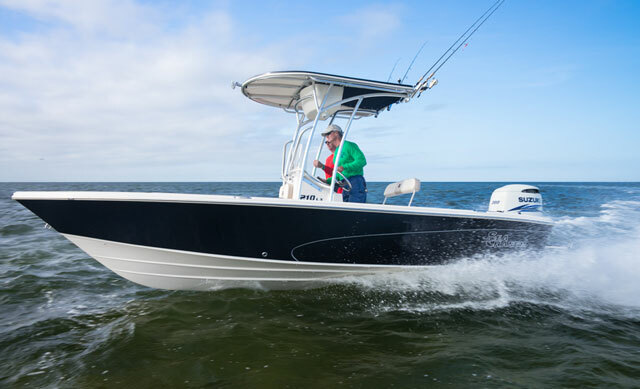 While you may have to forego some of the high-end construction perks found in costlier fishing machines, like the use of high-tech fabrics in the layup or vacuum-molding, the 21 LX is a thoroughly rugged boat. The hand-laid fiberglass stringer and bulkhead system is foam-injected, pre-cast foam blocks are used for the deck structure, and the hull and deck are completely bonded together. 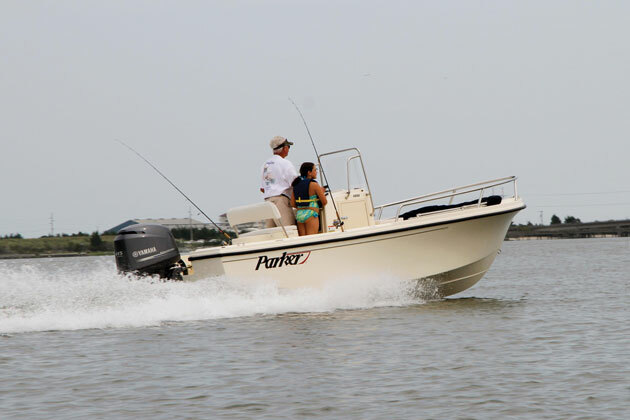 The structure is wood-free, and Carolina Skiff backs it with a five year warranty. Power Single Suzuki DF175TX four-stroke outboard, swinging a 15" x 21" three-bladed stainless-steel prop. Sure, the creature comforts found on big top-shelf bay boats are nice to have. Yes, high-tech construction features do allow you to squeeze a few more MPH out of a hull. Of course, we’d all like to parade around on a boat that costs as much as some small homes. But some of us live here in the real world. We want a well-built, reliable fishing machine that can get into skinny waters, but still has the beef to cross the bay when a stiff breeze kicks up. We would like to get one without liquidating the kid’s college tuition fund. And that’s exactly what the Carolina Skiff Sea Chaser 21 LX is all about.